As talk of water shortages becomes more common in the United States, as well as in other countries around the world, water-conserving initiatives and regulations are becoming the norm. One way to handle this is to install high-efficiency toilets vs. regular ones, since toilets account for almost 30 percent of water consumption in a home. 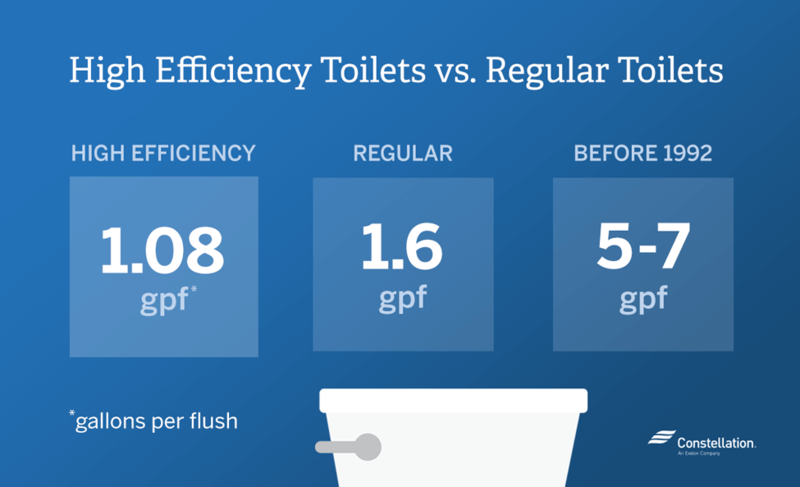 The benefits of switching to a high-efficiency toilet are not only related to water conservation. By changing your regular toilet to a high-efficiency toilet, you could reduce your water bill substantially. 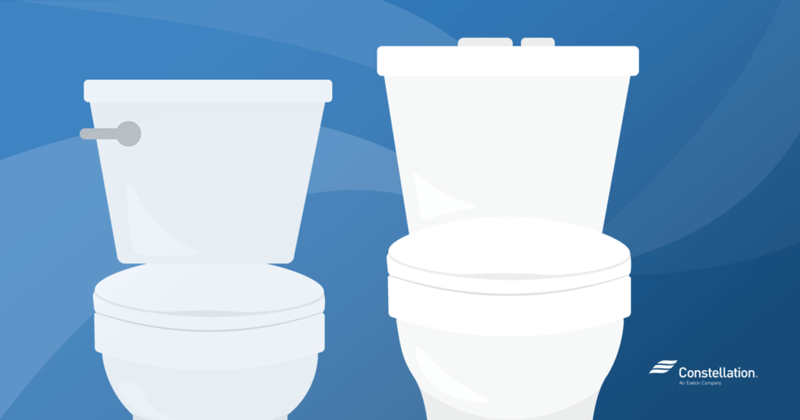 Keep reading to discover how to retrofit your current toilet, and reap the benefits of a water-saving toilet. What is an energy-efficient toilet? Energy-efficient toilets (also known as high-efficiency toilets or water efficient toilets) are designed to remove waste by using water velocity instead of removing waste by using water volume. What this means is that energy-efficient toilets increase the velocity of the water when you flush and only use about 1.28 GPF (gallons per flush) as compared to older toilets that can use between 1.6 and 7 GPF. Like ENERGY STAR® for appliances, WaterSense is a label for products that meet the criteria for water efficiency. The current federal standard for toilets is 1.6 gallons per flush. This federal standard passed in 1992, so if your toilet was installed before 1992, it most likely uses 3.5 GPF to 7 GPF. In 2016, only 37 percent of homes met the efficiency criteria for toilets according to the Water Research Foundation report. Though it’s an impressive 34 percent increase from 1999 when only 3 percent of toilets met the criteria, there is still potential for additional savings. The Water Research Foundation study also mentions that toilet flushing frequency has remained the same: 5.0 flushes per person per day. And, according to the EPA, installing water conservation toilets can reduce toilet water usage by 20 to 60 percent, which means nearly 13,000 gallons saved per year. If every old and inefficient toilet in the United States was replaced with water-saving toilets, the savings would be around 520 billion gallons of water per year. That’s the same amount of water that flows over Niagara Falls in about 12 days! Most important, by installing a high-efficiency toilet, the average family could save up to $110 a year on their water bill, and $2,200 over the lifetime of their toilets. How much water toilets use per flush? While a low-flow toilet uses only one flush feature (1.3 GPF), high efficiency dual flush toilets provide two flushing features: a “number one” that uses about 0.8 to 0.9 GPF and a “number two” option that only uses about 1.3 GPF. 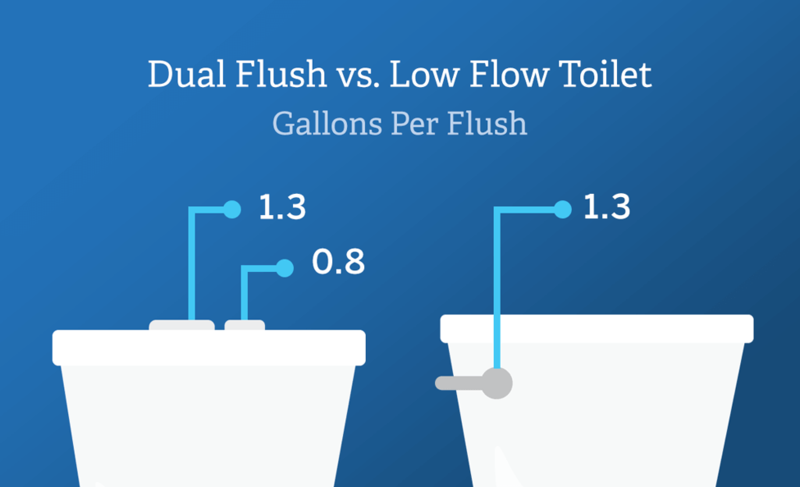 As Ed Del Grande says, choosing a high-efficiency dual-flush toilet vs. a low-flow toilet can depend on the location of the house and the traffic the bathroom receives. A high-traffic bathroom could benefit from a low-flow toilet by cutting down on flushing confusion. 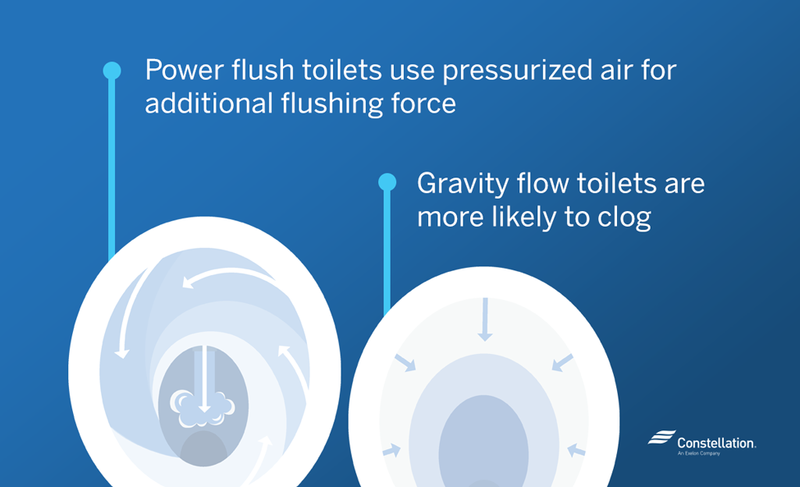 A power flush toilet, unlike a conventional gravity flow toilet, uses pressurized air in the tank to achieve additional force when you flush. If you are choosing between a power flush and a gravity flow toilet, you should consider three things: noise, the quantity of toilets, and who is maintaining it. Power flush toilets usually make more noise, making them not ideal if they are located near sleeping or working areas. Gravity toilets are more likely to clog, especially if the building has cast-iron waste lines. Even though modern gravity toilets perform as well as pressure-assisted ones, if you are responsible for multiple toilets, consider getting power flush toilets to reduce maintenance needs. 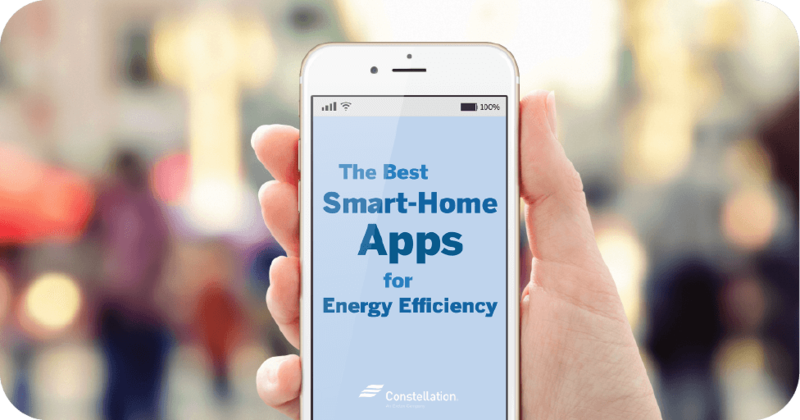 Technology is not only changing the way that you control your temperature, your lights or your appliances. Technology is also changing the way toilets are designed and how they function. Nowadays, a toilet can have a massaging bidet wash, an air dryer, a heated seat, a self-deodorizer or an emergency flushing system that works during power outages. Automatic flushing: A toilet at home can now flush without being touched. Not touching the handle means less germs going around. Overflow protection: Some newer toilets stop you from flushing when it is clogged. One less mess to clean. Bluetooth and MP3 capabilities so you can listen to music while you go. If getting a new toilet seems unrealistic at this moment, there are other options to conserve water. 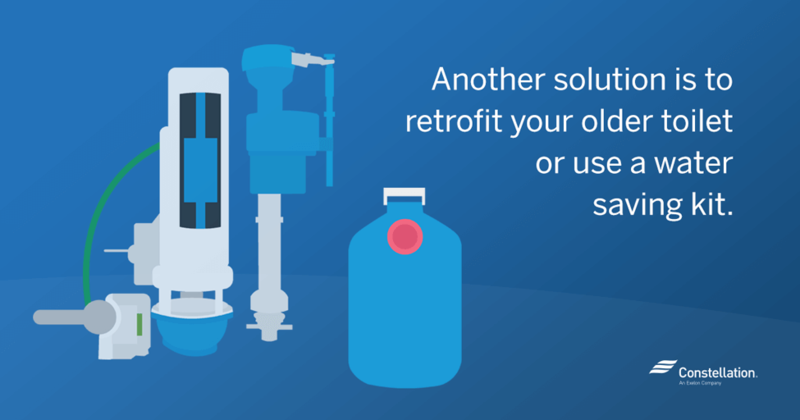 To convert your current toilet into a water-efficient toilet, you can use a water-saving kit or you can retrofit it. Water-saving toilet kits have all the tools you need to convert your single-flush toilet into a high-efficiency dual flush toilet. These kits can usually be installed without removing the tank or using any tools. To retrofit your toilet, you can install a toilet tank displacement bag that will displace 0.5 gallons of water in your tank so the toilet uses less water each flush. You can also install a toilet fill cycle diverter, which is a plastic device that sends less water to the bowl and more to the tank while they both refill. Like the toilet displacement bag, a toilet fill cycle diverter could help you save 0.5 gallons per flush. Is there any DIY technique that you use to make your toilet a water-efficient toilet? Let us know in the comments. 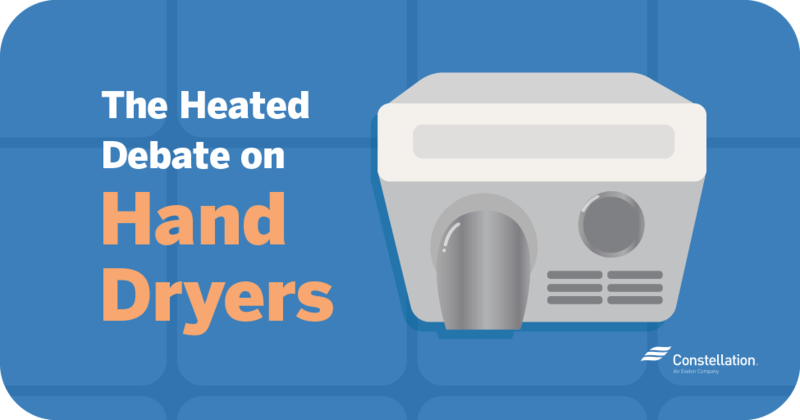 To read more about water conservation and other energy tips, check out our shower energy consumption conservation tips and our recommendations on selecting top-load vs. front-load washers. These are good advice and appreciated. I suggest that Constellation recommends their customers few manufacturers or link to find the recommended products. My god. Who knew? Thank you for this information! Hey Carol, we love sharing little-known energy tips, so that’s great to hear! 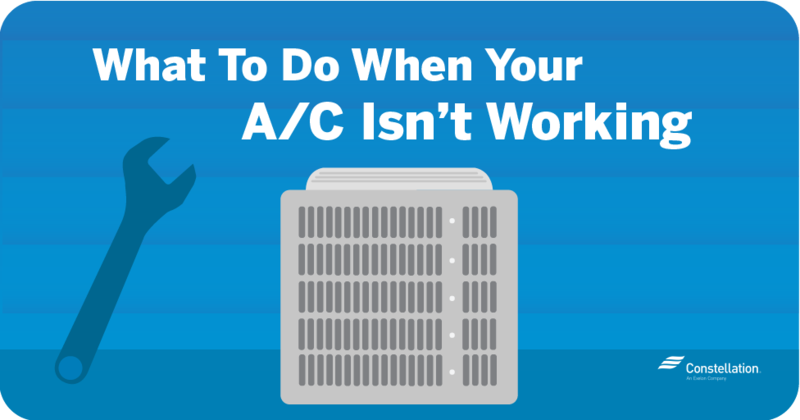 Keep reading our blog and website resources for more energy information in the future! You did not mention the fact that w. low flow toilets –they often get clogged w. #2 production. Hi Mike, excellent point. Perhaps once switching to efficient toilets, changing toilet paper use habits would be a good lesson to implement in the household!